If you are going to get your fall beauty foxiness on, you have to set the table properly—and that means starting with your skin. No matter how well you have tried to protect yourself from the sun’s harmful rays, all of us have some degree of damage to contend with as September rolls around. 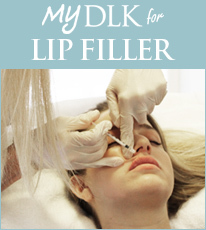 My first stop is always my fairy godmother skin doyen – Dr. Lisa Kellett from DLK on the Avenue. DLK on the Avenue offers up the perfect solution to end-of-summer skin woes with their latest technology, their *new* 3-in-1 M22 ResurFx treatment. Think of it as the ultimate car wash for your skin and the best bang for your buck as it’s all done in one sitting! Forget traditional facials; they are picayune offerings in the face (*pun intended) of these medical grade technologies! Part 1 of the M22 ResurFx is a diamond peel Microdermabrasion treatment removing the dead skin cells on top of the skin. Part 2 is multiple wavelengths of light, similar to intense pulse light (IPL) that works on the brown spots, redness and pore size – making your overall color more homogenous and less blotchy. Part 3 is a resurfacing treatment that uses an erbium laser to resurface the skin that ablates tissue. This works on texture; acne scars, fine lines and plumps up collagen at the same time. *Recovery time is 24 hours, with some redness and mild flaking. If you can’t get this incredible treatment done, Dr. Kellet is adamant about employing her “proper trinity” of skin care gospel. At the bare minimum, Dr. Kellet recommends a 30 SPF all year round, a topical Vitamin C for day, and a topical liquid Vitamin A (*Retinol) for nighttime. To read the entire article (The Get-Foxy-Ready-for-Fall-Beauty, Girlfriend Guide), please click here.